Xero is a beautiful accounting software which allows millions of people to run their small business. Xero is nothing but a accounting and a bookkeeping software which runs on cloud platform, meaning the user can do their finances from any device platform such as Windows , Macintosh, Linux. 1. Xero is a cloud platform software. 2. Xero links with the users bank account so that each transaction that is been done is shown. 3. More than one user can use Xero at the same time from different places. 4. They provide automatic backup. 5. To facilitate the Xero provides a mobile application names "Xero Touch" this can be used to run the business on the go. 6. 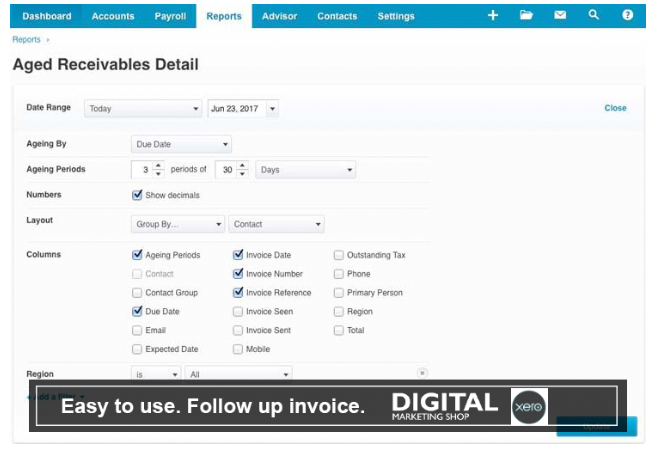 Invoices can be sent to the client via online . 7. They connected with many business application. 8. Security provided is more for the user. Xero is an accounting and bookkeeping software which helps small business people to run their business easily. By using Xero the time and work required for financial work is made less, I.e; the user can view ,manage and deal with the financial works from any place and at any time. This is even made simpler since Xero is a cloud platform software and it doesn't require any installation on your device , you just need to log in into their website and start managing your finance. In every business there will be money transaction between the client and the supplier . Now these transactions can be viewed from the Xero software. The user can also send invoice from the software to the client and the client can pay via online . In Xero the user can access their account form more than one devices. This is a great feature since many software doesn't have this feature. The main purpose of software like this is to maintain the users data and manage them , so the risk of loosing the data is high. Xero provides high security and auto backup feature which provides the user a safe place to manage their data and their work. In the world of smart phones the usage of computers has been less , so keeping this in mind Xero has launched its mobile app the "Xero Touch" . This enables the user to work on the go. This app is avaible for android and apple store . This application allows the user to store the clients and customer contact details. Xero provides inventory management tool which helps the user to manage their inventory . By using this management system the user can track their inventory. 1. It can be accessed from any where , anytime and on any device. 2. Data security , protection and backup is provided. 3. transactions can be managed through the software. 4. Xero Touch allows user to work on the go. Hourly Fees for training and support in Sydney: $70 / hr. Minimum of 4 hours to 8 hours maximum per onsite session. Xero is the latest business accounting software for online Bookkeeping Services. These applications are more accessible and flexible since they enable a business owner and their employees to update and store the financial data online. Anytime an authorized individual can access the financial data stored safely on the server from any computer anywhere worldwide. As the second generation software was used previously, Xero software requires a relatively sophisticated understanding level for accounting. Therefore, it has been focused to accountants as opposed by business operators with no accounting background or even the time to aim at administrative tasks. • It is an internet based as opposed to a computer, thus implies that a business owner, as well as the client, have their freedom to manage their records not exclusive their accountant or the bookkeeper. • If some users or staffs are accessing their accounting record, they can perform that through their PC at any time or anywhere on the internet without using multiple copies. • Xero contains some graphic representation that most computer-based accounting application program does not have. • The accountant can as well guide and update the user on the same file data that you should have whichever question. • The Bank Feeds automatically imported to Xero from the website of your Bank and the details memorized, hence saving time. • They are not multiply upgraded thus having subscribers to every year as you can do on the computer-based program. The Online Bookkeeping services provide significant benefits as well as cost saving by carrying out services for the business. The previous package comprises a complete range of bookkeeping online solutions, for instance, payroll, financial, tax and process control services at affordable cost in a single package. The data are interlinked, thus double or triple entry for similar information not necessary. For example, the financial data for a business such as expenses and revenue can be utilized to generate profit/loss for a company. The data can also populate and feed the appropriate tax return for a business owner. The payroll information can as well feed business expenditures; hence it should not be entered twice. Immediately the tax return needs to be delivered; most information already should be automatically populated for the tax return if every month bookkeeping performed continuously. This procedure can significantly reduce operation errors and time wasted during feeding necessary data into a system. The Bookkeeping services could be outsourced because of movement and easy application that suite to bookkeeping services experts somewhere worldwide enabling the owner’s time to aim at the essential aspects of the business. Additionally, meeting your accountant one on one is not necessary or exchange document through email. The entire information can be accessed and shared online. It is also cost saving as far as accountants are concerned, hence allows serving more customers at the same time and results to low of the cost for services accountant offer. Xero is the third generation web-based software that recently developed by Rod Drury and Sam Morgan. This software allows fast transaction download compared to a previous software package. Xero also identified as Kiwi software has branched into UK and Australia.